Las diez plagas enviadas en Egipto en Éxodo 7-12. 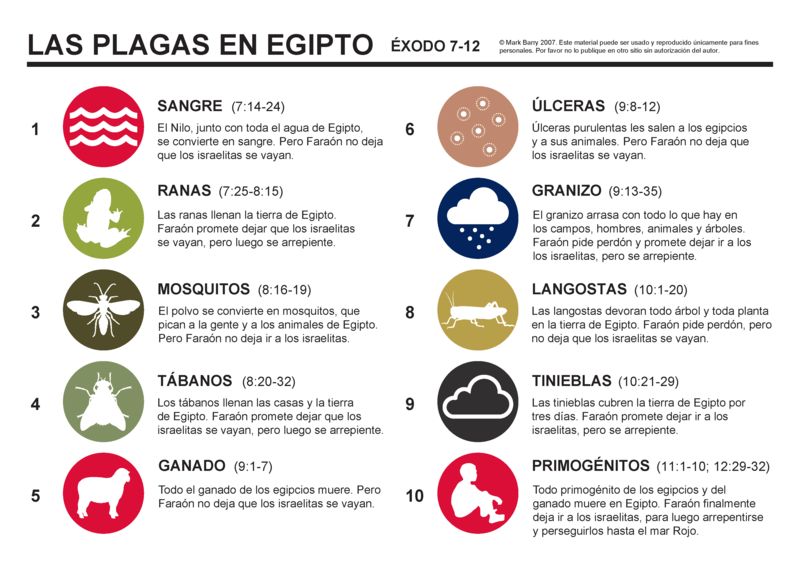 Spanish version of the ten plagues sent on Egypt in Exodus 7-12. PDF version (309 KB). This entry was posted in Spanish and tagged Exodus. Bookmark the permalink.